Welcome to the Rose Garden Center for Hope & Healing Medical Clinic! It is our purpose and privilege to assist our brothers and sisters in need, serving the financially challenged, uninsured and under‐insured at no charge, without regard to race, age, gender or religion. Our nonprofit mission relies 100% on volunteers and donatons. Examination, diagnosis and treatment or referral. 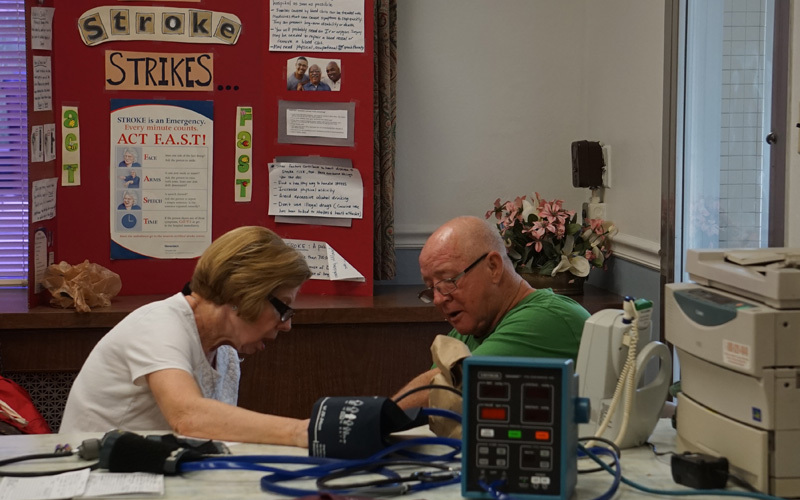 Walk‐in health screenings and wellness educaton programs every Tuesday at the Rose Garden Home Mission from 11am—3pm. The Rose Garden Center for Hope & Healing is a member of the Natonal Associaton of Free and Charitable Clinics and the Health Ministries Associaton. The medical and dental clinics are state‐licensed Special Services Clinics.